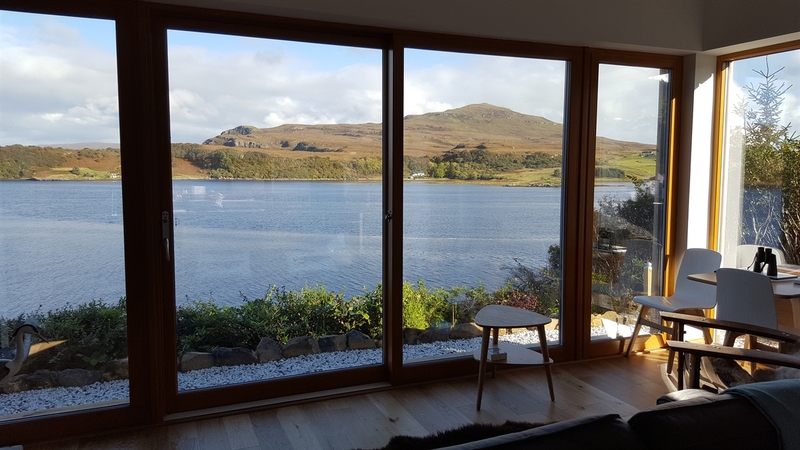 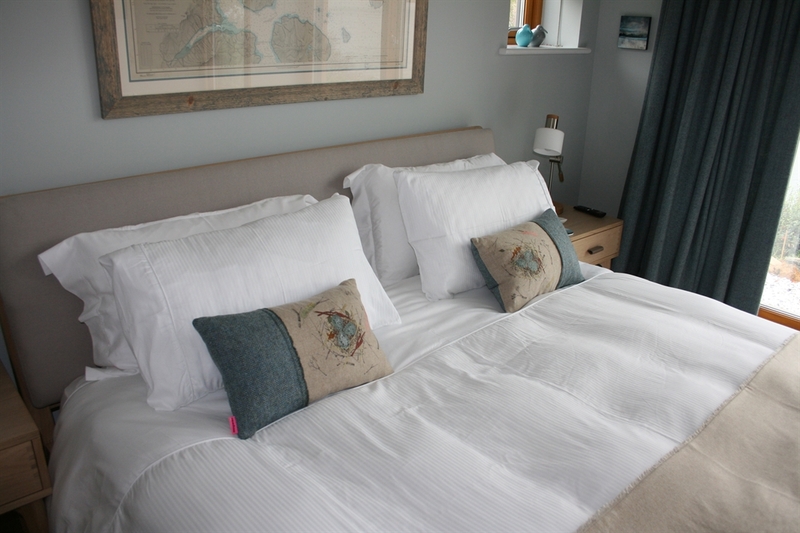 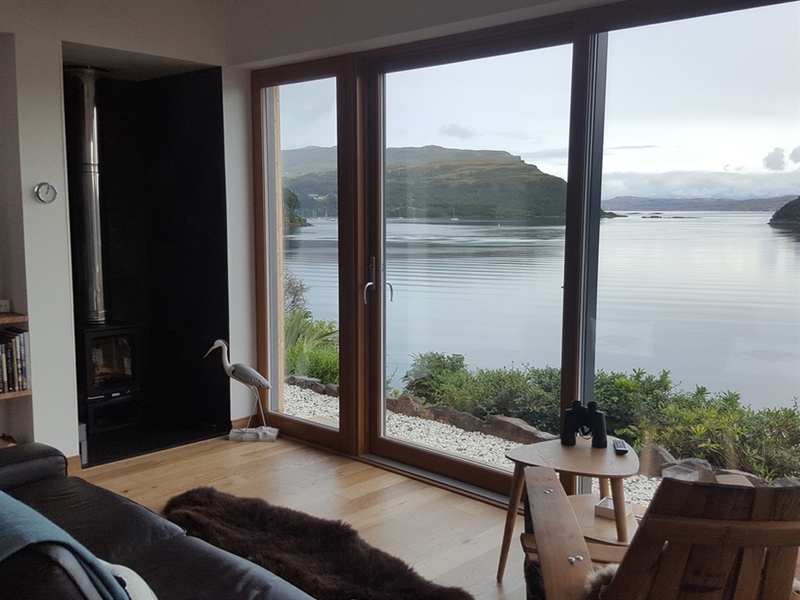 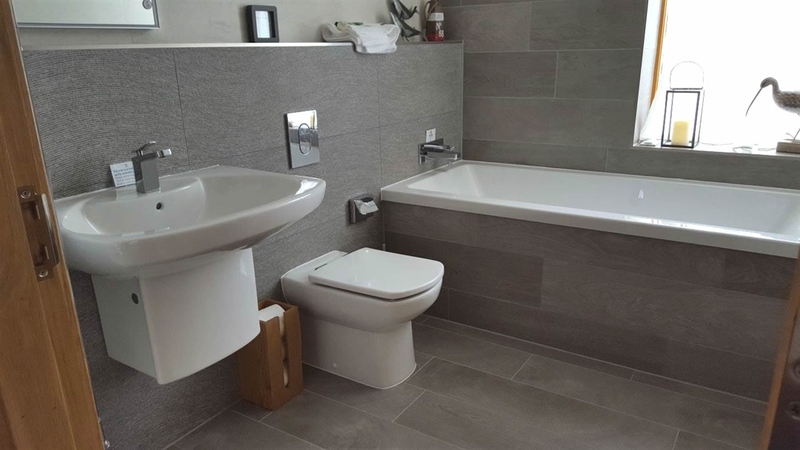 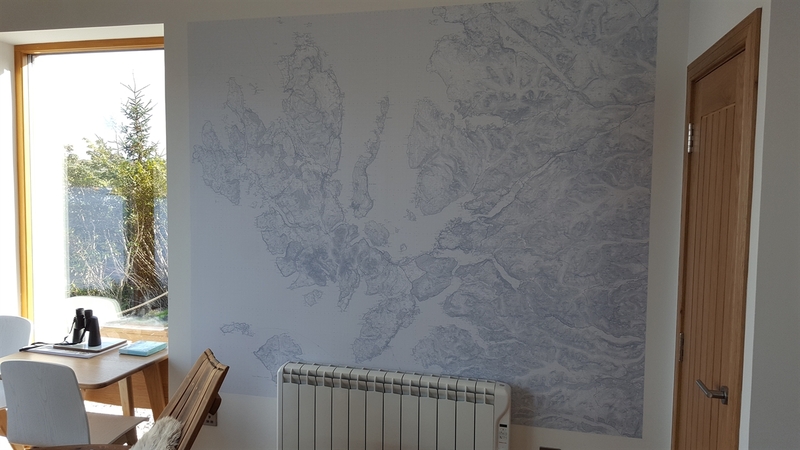 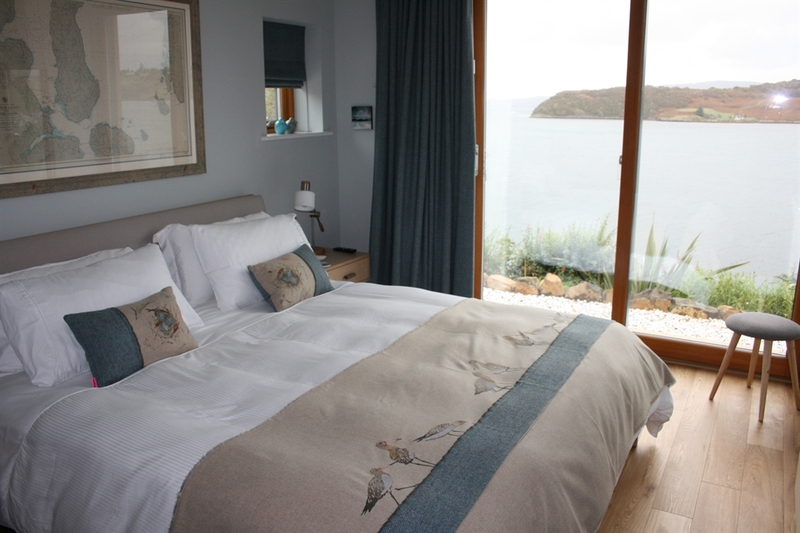 Luxurious and contemporary self catering accommodation property with panoramic sea views in Portree, Isle of Skye. 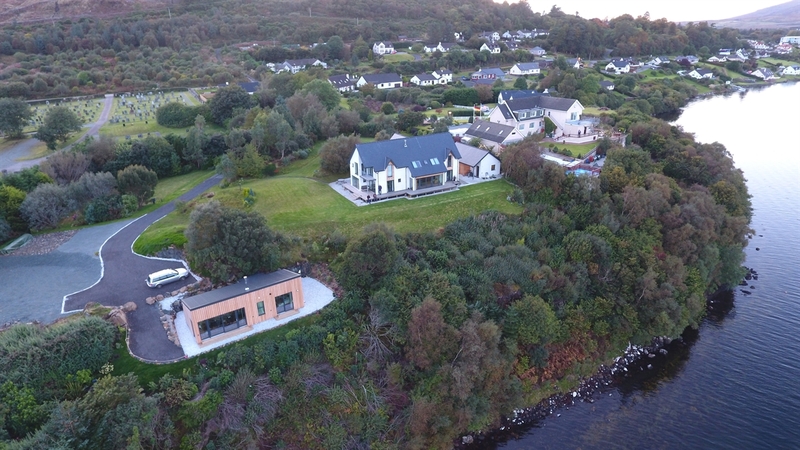 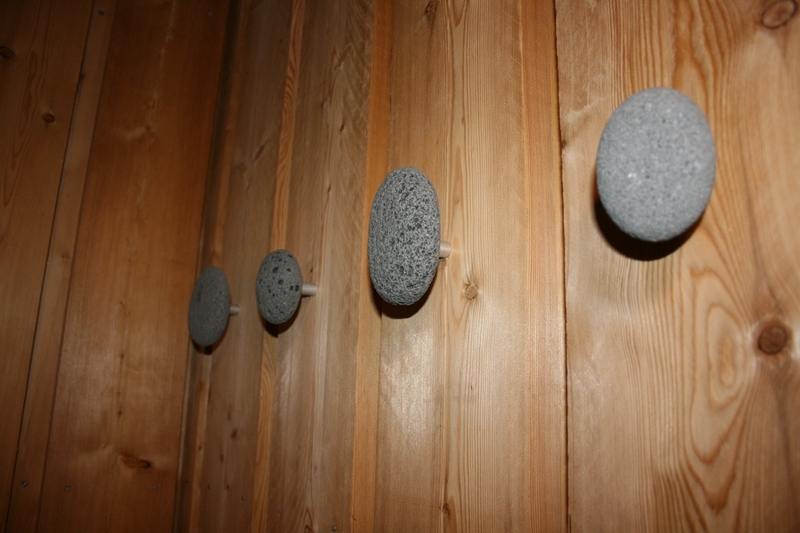 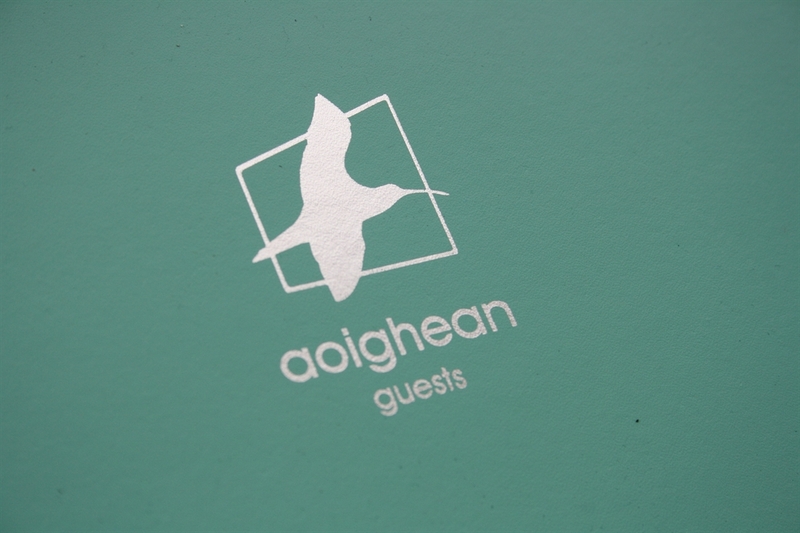 Air an Oir is located on a secluded crag overlooking the sea at the end of a long private drive. 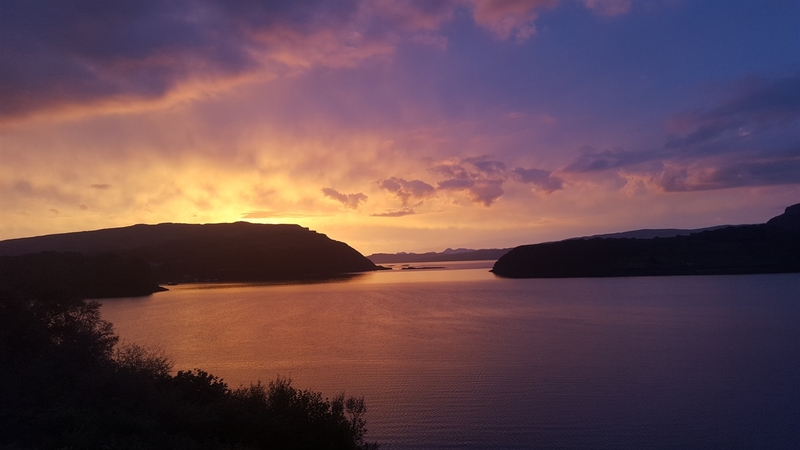 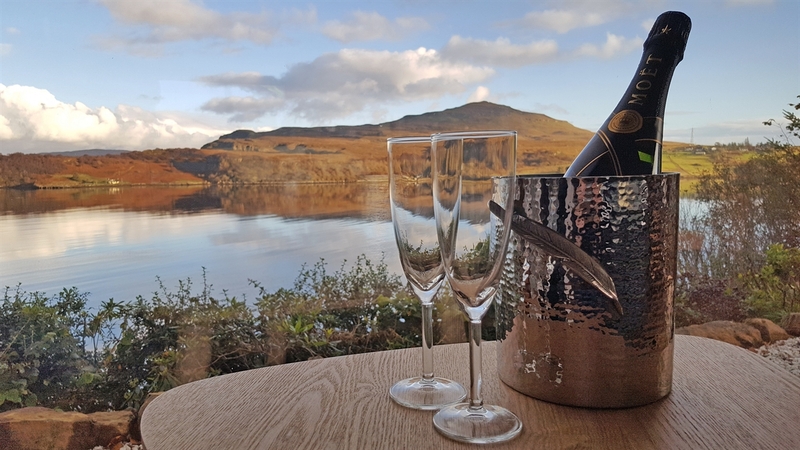 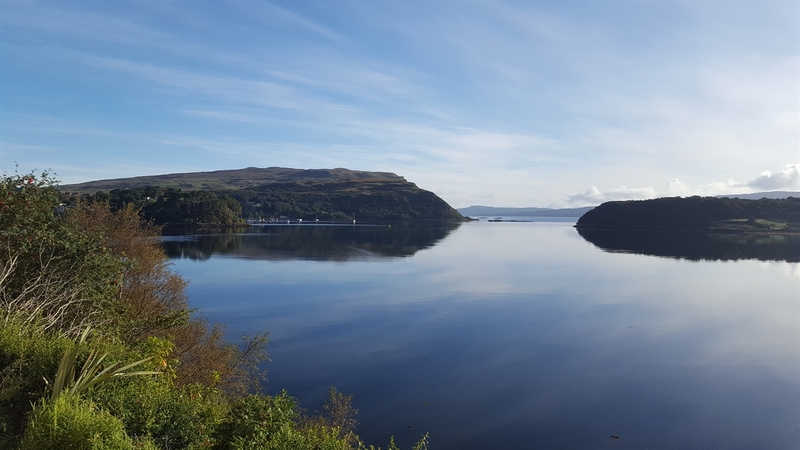 Being in Portree, the main town on the Isle of Skye, it benefits from being within walking distance to shops, restaurants and other services, yet also offers guests with frequent sightings of otters, seals, sea-eagles and other wildlife. 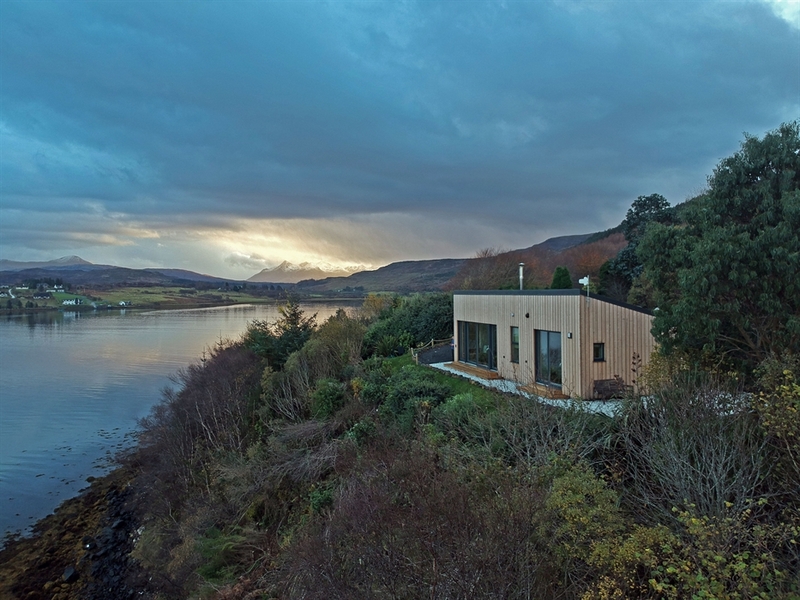 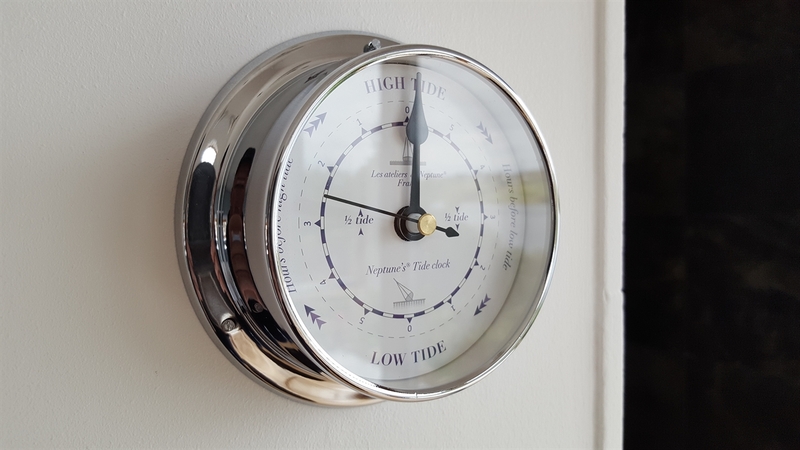 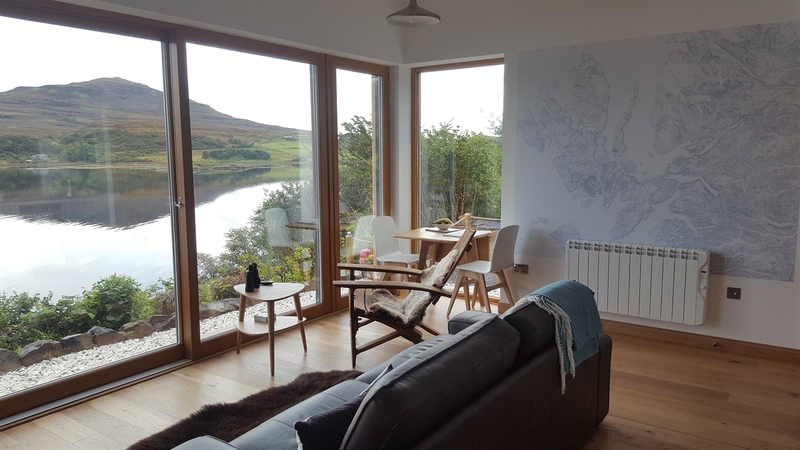 Built of Siberian larch and with large treble glazed windows to maximise views, Air an Oir has been designed to very high standards and has a contemporary coastal interior design theme. 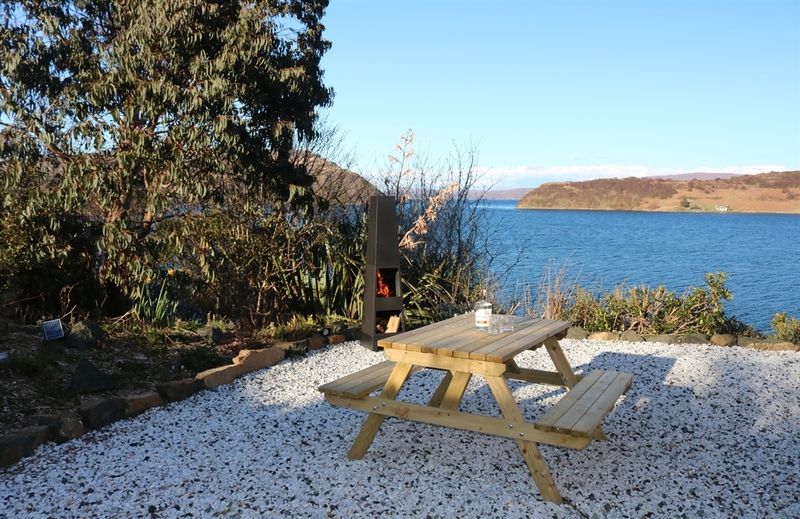 Facilities include a wood burning stove, super-king size bed, induction hob, washer-dryer, dishwasher, microwave, blue tooth sound system, free wi-fi and widescreen televisions. 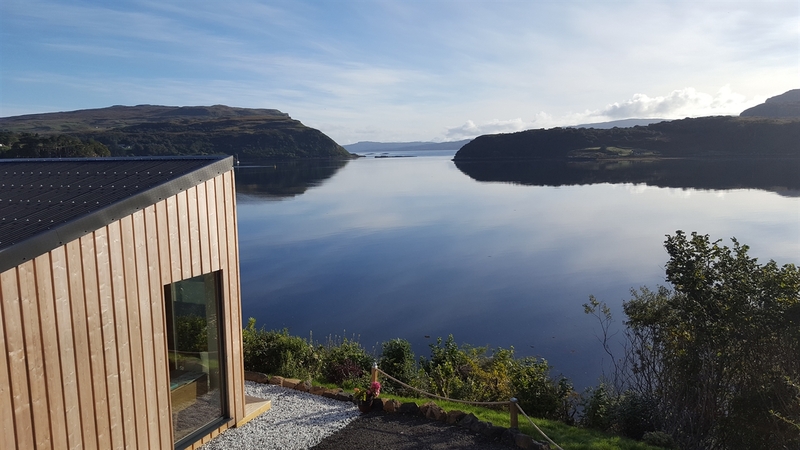 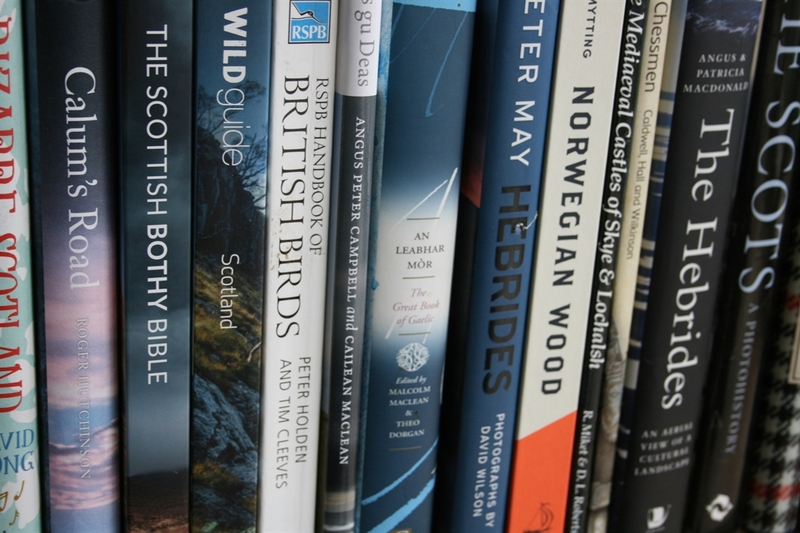 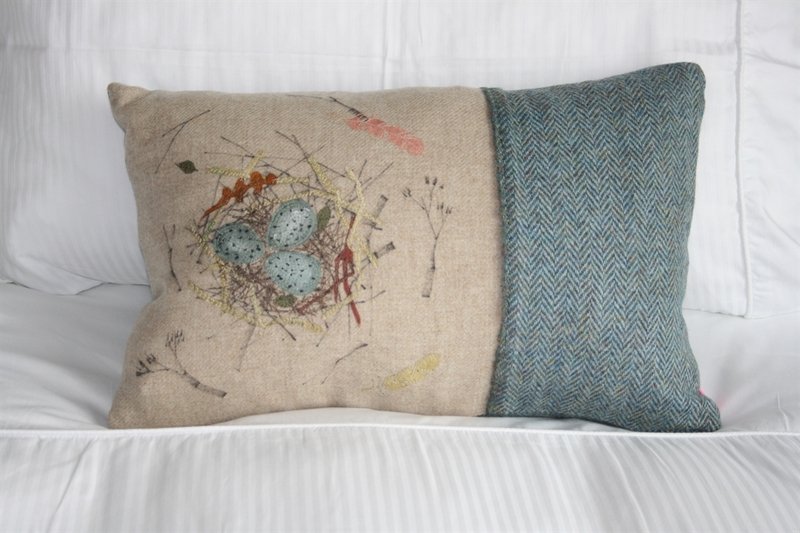 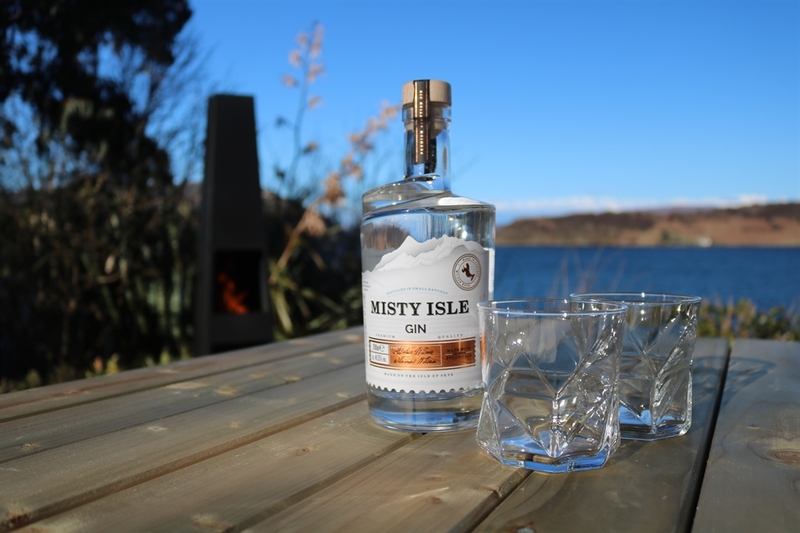 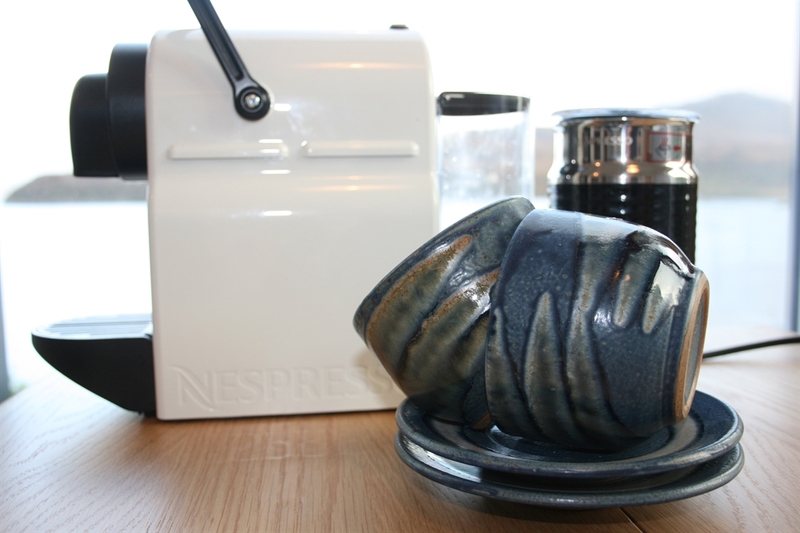 It is aimed at couples wishing to savour the uniqueness of the Isle of Skye.